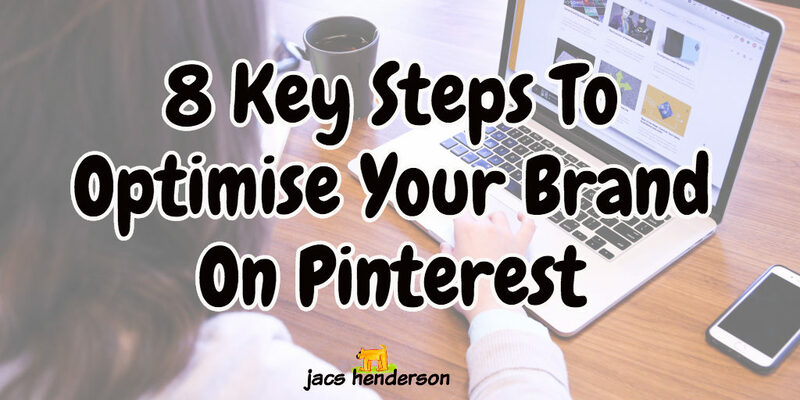 If you are building your own business, then here are 8 key steps to optimise your brand on Pinterest which is a fantastic place to showcase all aspects of your brand … and a place where they do not disappear down a timeline! Is your brand Sociable and Shareable On Pinterest? By that I mean are you maximising your audience's ability to share your content with all the tools available, and are you sharing all your social media content to Pinterest? Succeeding in social media marketing, and especially on Pinterest is all about understanding the needs and motivations of your target audience and then presenting that lifestyle back to them. 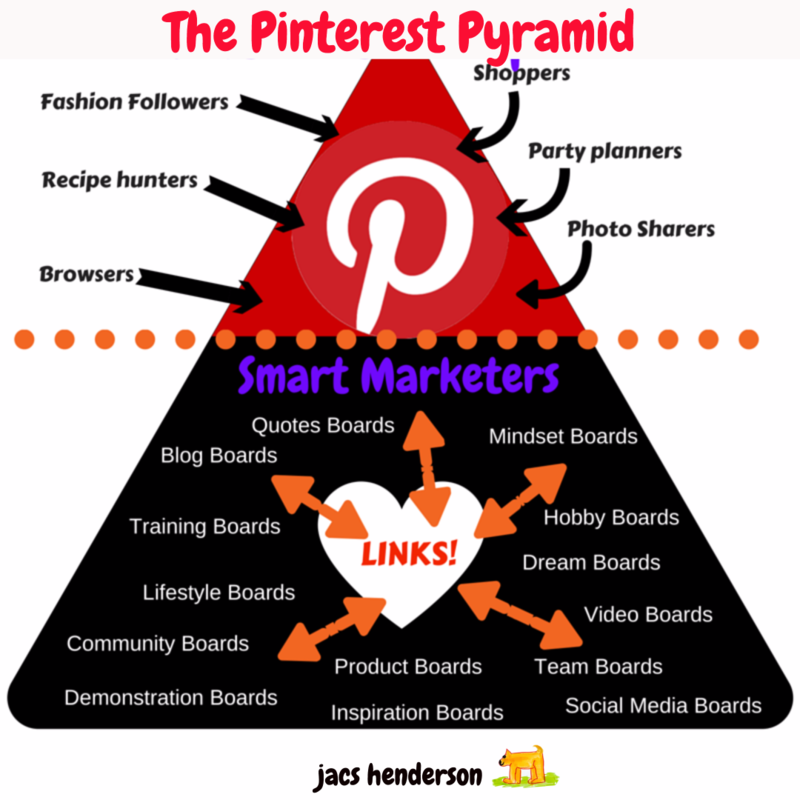 Pinterest is a huge search engine for shoppers, and that how people find things, they are looking for help, and things to inspire them, and when they find them, they follow links to learn and buy … so the more pins you have linking to that help, the more followers, leads and customers you will gain. 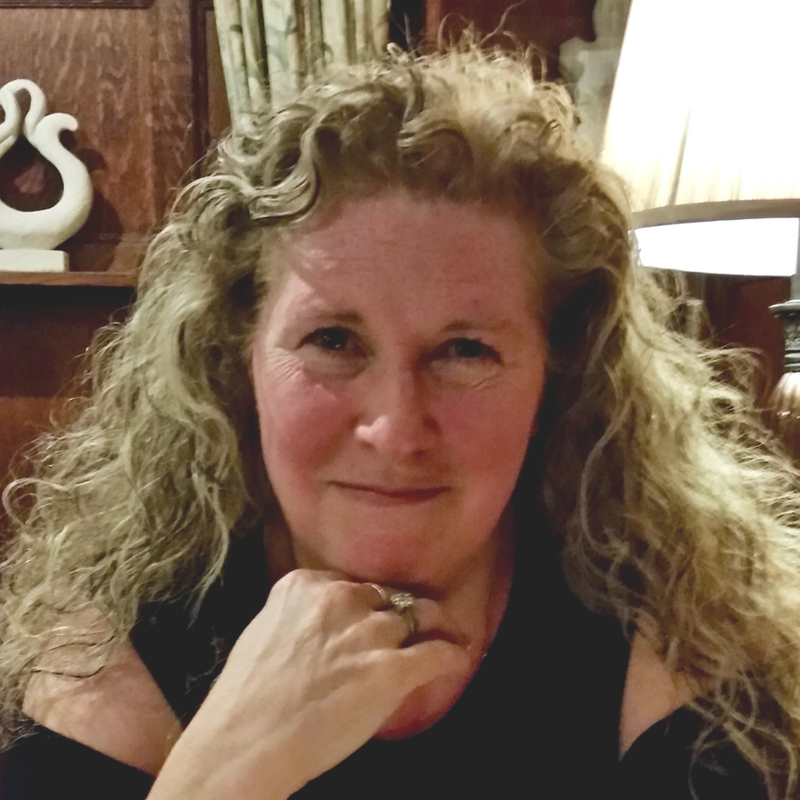 By setting up a varied selection of boards you are able to directly attract the searchers on many subjects… which of course you then manage with your Smart Marketing Skills! This is the official Pinterest Hover Pin It button for WordPress! 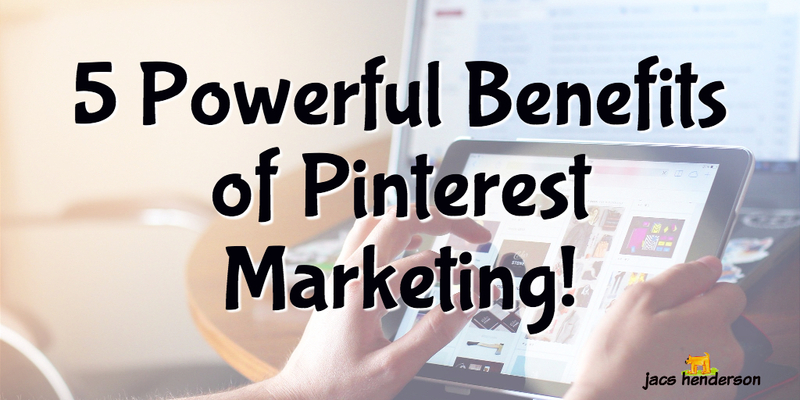 The Pin It button is the best way for your business to get content on Pinterest. With just one click, visitors can save content they like on your site to Pinterest, which helps even more Pinner's discover you. 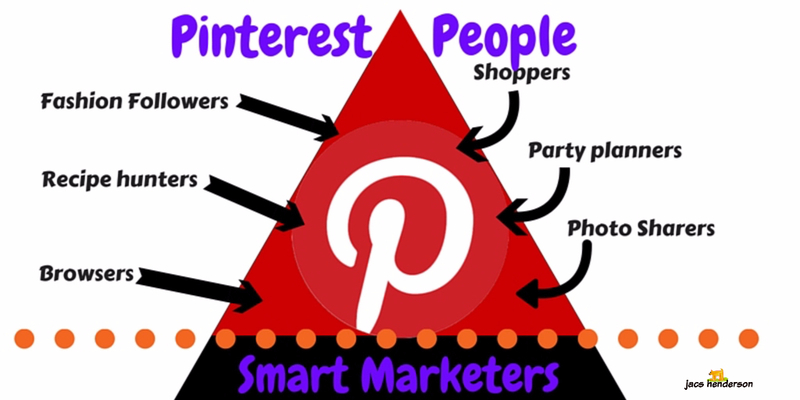 The follow button lets Pinner's easily follow your business’s Pinterest page. Followers will click through to your profile to see all your Pins, giving you more visibility, and will be ‘Following' you. You can make a button here … follow button builder. ★ The Pin widget lets you show a Pin on your site and is perfect for when you find a Pin that fits your look and feel. Want to make creating your Pin widget easy? Check out the Pinterest Pin widget builder. ★ The Board Widget … When one Pin isn’t enough, add an entire board (up to 50 Pins) to your site. 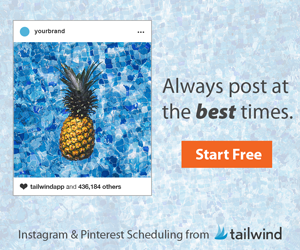 Board widgets give your visitors a quick taste of what your Pinterest profile's all about, and help to drive more traffic to your board. Want to make creating your board widget easy? Check out the Pinterest board widget builder. ★ A Profile Widget … Add a profile widget to your page to show the most recent Pins you’ve saved. Want to make creating your profile widget easy? Check out the Pinterest profile widget builder. For readers to Follow YOU on other social sites. There are many to choose from, for sharing I use SumoMe free plugin with their Share app. An alternative to the PinIt/Save button is to use the image sharer app below… people can then share your images to Pinterest, Facebook and Twitter. 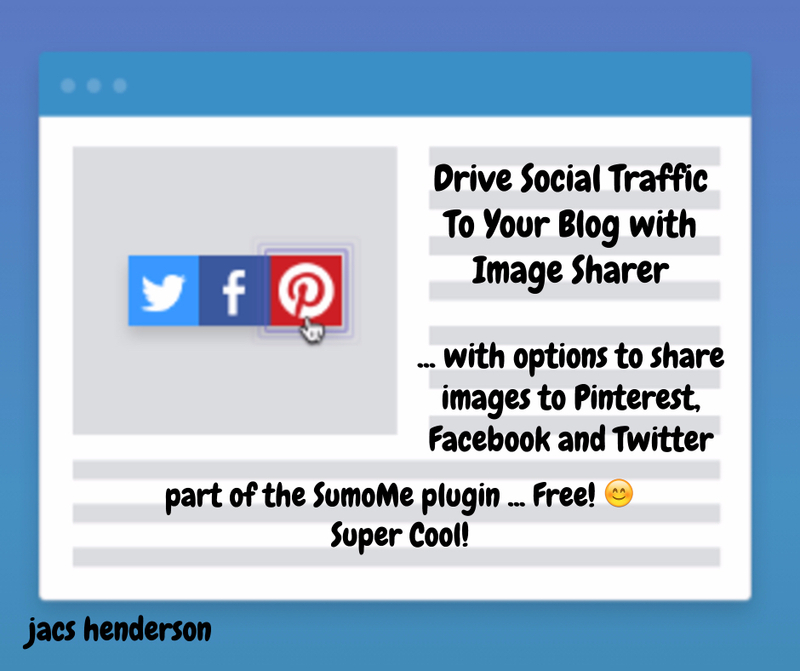 Top Tip ~ The Image Sharer App from SumoMe IS A Hover Sharer with buttons for Pinterest, Facebook and Twitter. If you do not want to have a Pinterest board Widget on your blog, or prefer to have a range of social profile ‘Follows' available rather than just the Pinterest button … then this works great. This particular one is a widget so you can put the code into any widget areas ? It is very customisable, has loads of different sites to connect to, and different icon shapes to choose form. The Pinterest browser button makes it easy to save any image you find around the web. All you have to do is add the Pinterest browser button to your favourite browser, and you're ready to go. It is available for several browsers (see below) and you can set this up this option for sharing with the Pinterest app on your iPhone or Android phone … follow the links below. There are several ways to do this … but the easiest is to use the Woobox app. It looks clear and sharp and shows off your boards to your Facebook audience. 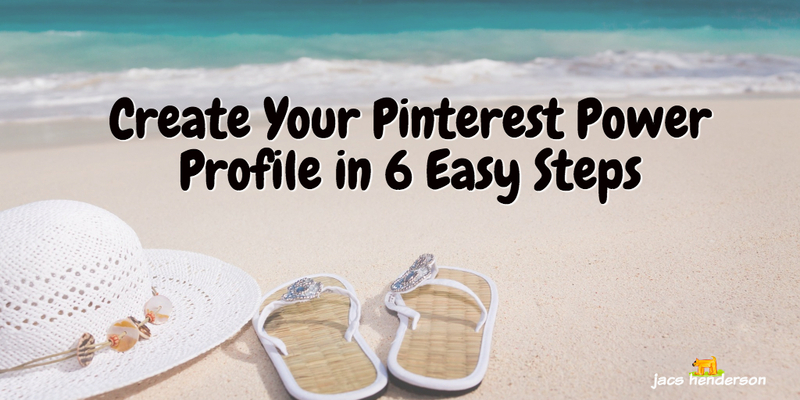 Easy & Simple ~ Setting up a Pinterest tab is easy; simply enter your Pinterest username. Boards & Pins ~ Show all of your boards and pins styled just like they are on Pinterest. User Stays on Your Facebook Page ~ Users can view your boards and pins directly on your Facebook page or click to visit Pinterest to re-pin, like, comment, and follow your pins. Visitor Analytics ~ You get complete stats for page views, visits, and likes, segmented by fans and non-fans who view your tab. Default to Specific Board ~ Show all your boards or just the pins from a specific board. This is a fantastic platform where you can set up automated posting from pretty much any social platform to another. There are ready made recipes for this… or you can make your own! And there are many which Pin from Pinterest (more about this another time! This is super important … it shows visitors you have been verified by Pinterest and they endorse your site. You also get access to more free analytics! Click Download this file. (Make sure not to rename the file. If you have multiple copies of the file, delete any extra characters your computer may have added). Upload this HTML file to your web server at the root folder (don't upload to a subfolder or we won't be able to access it). Root folder names vary by provider—common ones are public_html, www, or wwwroot. Be sure not to rename the file when you upload it to your server, since we'll be looking for an exact name match. For example, if you download pinterest-9d541.html, we won't recognise it if you upload it with a different name, like pinterest-9d541-1.html. Here are 2 x WordPress plugins that do the same job if you do not want to be messing with your WordPress html files!! Verify your website with Pinterest and show Pinner's you're a trustworthy source! This plugin allows you to verify your website with Pinterest by inserting a meta tag on your front page (no coding required). Now Pinner's will see the verification checkmark AND grant you access to Pinterest's free analytics! This is a SIMPLE way to verify without using code! Congratulations … You are Verified ? OK … so now you are Optimised and people will be able to locate your Pinterest profile from many of the places the find you on the web. Directly from your blog and Fanpage but also wherever you share your posts with IFTT. Below is a summary of all the actions above. You now know the 8 key steps to optimise Your Brand on Pinterest and your Your Brand is now sociable and shareable! Let me know if you learnt anything in the comments below! Please share this post with friends and team members who you think might benefit ? P.S. Follow me on Pinterest!! 2 replies to "8 Key Steps To Optimise Your Brand On Pinterest"
Though I have seen and read testimonies of some guys who rocked Pinterest and used it to grow their business and make it extremely profitable. I still have my doubts…maybe cause I am scared to wrap my heads around figuring how I did make things work out or something. However, your post seem to be a lifesaver, not just for me for many of those who are like me, who don’t seem to have a hang on how things work around Pinterest. Very simple and straightforward post this is and I am definitely going to try your tips and techniques out sometimes. It really depends on your business, but actually Pinterest is really a search engine, not a social media site … so with the right strategy, it doesn’t really matter whether you’re a guy or gal. Many men are into SEO, and actually Pinterest is the perfect place to duplicate what marketing you are doing on Google, with some tweaks of course … so don’t write it off! !